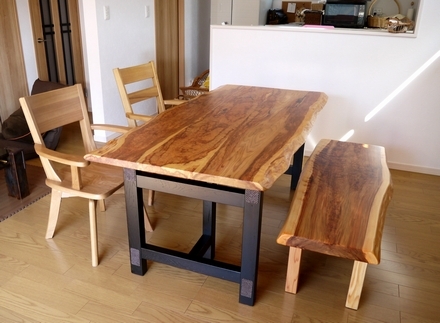 We made a delivery of a dining table set to a family in Tukuba-shi, Ibaraki-ken. 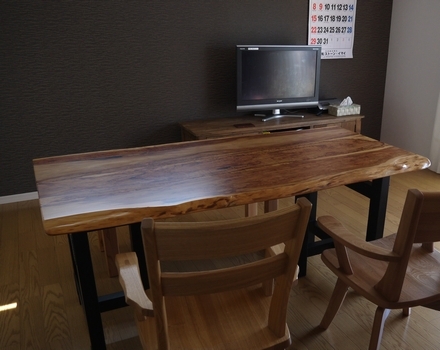 The table top and bench were made from a beautiful Japanese cedar slab. The two chairs are made from Japanese ash. The customer is an owner of a stone shop. He showed us some stone exterior furniture which he had made himself. ▲India stone mail post. No need to worry about the mail getting wet with rain! 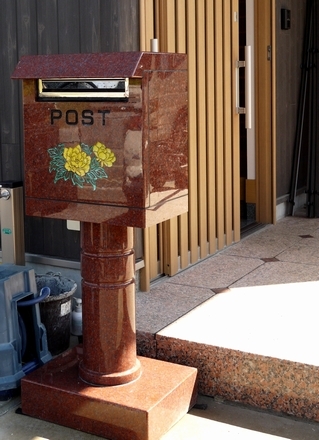 The floor of the genkan (entrance) is made of Chinese stone. 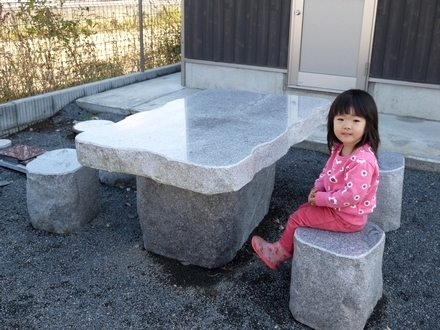 ▲Makabe stone table set. It isn't affected by rain, too. It's perfect as outside furniture. The pretty model sitting at the stone table is his daughter.